By Kristin Masters. Apr 20, 2018. 9:00 AM. The sixth child of Jane and John Clemens, Twain passed his childhood in Hannibal, MO. The town was located on the bank of the Mississippi River, and steam boats often stopped there. When Twain was 12, his father died of pneumonia. Twain had to leave school to work, and he found a position as a printer's apprentice. Two years later, he found himself an editorial assistant and printer at the Orion newspaper, where his older brother also worked. At 17, Twain left Hannibal for the bustling city of St. Louis, where he again took a job as a printer. On the side Twain also worked on his steam boat pilot's license, and it was here that he discovered what would become his pseudonym. 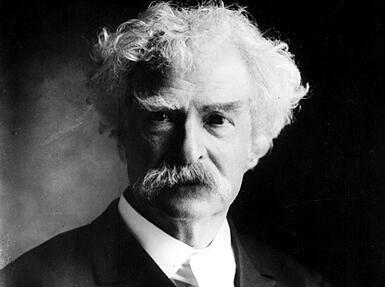 "Mark Twain" means "two fathoms" (twelve feet), meaning the water is deep enough to navigate the boat safely. When the Civil War halted trade along the Mississippi in 1861, Twain began newspaper reporting for papers all over the country. He also began writing fiction and short stories, which he began submitting to these papers. "The Celebrated Jumping Frog of Calavaras County" first appeared in the New York Saturday Press on November 18, 1865. This marked a turning point in Twain's career: he began to enjoy a reputation as a writer, rather than as a journalist. Over the next 40 years, Twain would pen 28 books, along with many sketches, letters, and short stories. He set himself apart with witty travel literature, such as A Tramp Abroad, along with literary classics like Huckleberry Finn and Tom Sawyer. Twain also penned plenty of after-dinner speeches, essays, and other short pieces. Mark Twain enjoys a reputation as one of America's legendary writers, and the value of rare books by Twain have appreciated in value accordingly. Meanwhile, he's one of the more accessible 19th-century authors to collect because his books were published in larger numbers than those of contemporaries like Melville and Thoreau. Mark Twain books were first considered "collectible" in 1885, when New York rare book dealers Leon & Brothers issued a catalogue exclusively devoted to American authors. 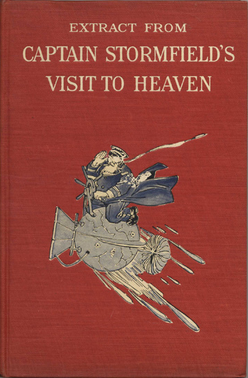 Thirteen of Twain's first editions were included. By 1893, Twain was continually inundated with requests for autographs and realized his own celebrity. 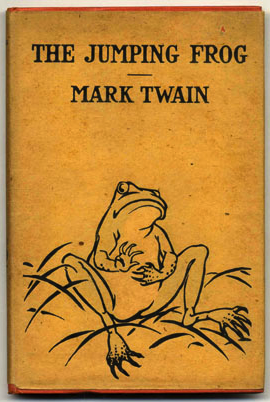 He asked his English publisher to produce a limited edition of his poetry, but his agent declined; at the time, Twain was not known as a poet. Pay attention to the date on the title page, rather than the copyright date. This year tells you when the book was actually published. Remember that collectors usually value first editions most highly. Many editions of Twain's works contain facsimile editions of his signature, so beware purchasing these items from an unknown seller over the internet. However, some genuinely autographed sets of Twain's works do exist. These contain a printed statement explaining the limitation of the autograph right above Twain's signature. You can round out your collection with all kinds of Twain-related ephemera, from advertisements of his works, to letters to and from Twain. Some people even collect dinner menus from restaurants where Twain ate. Another option for expanding your collection is to include English and Canadian first editions. Remember, however, that most collectors still tightly focus on first state American editions of Twain's works. Mark Twain was also a well-respected publisher. Collectors may be interested in some of the work that he was responsible for publishing. For example, the first edition of Personal Memoirs of Ulysses S. Grant was published in 1885 by none other than Mark Twain. Twain marketed the two-volume first edition of Grant’s Memoirs widely right at the time of the president’s death. 350,000 copies were sold as a result of his efforts, and the book hasn’t been out of print. In 1957 Jacob Blanck, the editor of The Bibliography of American Literature (BAL), published the standard bibliography of Twain's works. It appears in the BAL's second volume. Collectors should refer to this for guidance, especially as beginners.